Over the past week we’ve heard from fans about a need for more women writers, artists and characters. We want you to know, first and foremost, that we hear you and take your concerns very seriously. We’ve been very fortunate in recent years to have fan favorite creators like Gail Simone, Amy Reeder, Felicia Henderson, Fiona Staples, Amanda Connor, G. Willow Wilson and Nicola Scott write and draw the adventures of the World’s Greatest Super Heroes. 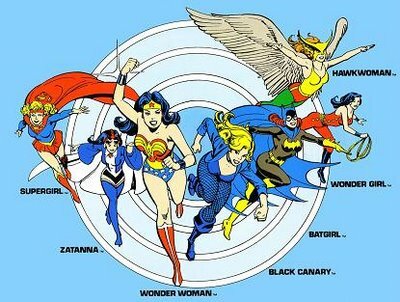 DC Comics is the home of a pantheon of remarkable, iconic women characters like Wonder Woman, Lois Lane, Batgirl, Batwoman, Catwoman and Supergirl as well as fan favorite characters like Black Canary, Katana, Mera and Starfire. We’re committed to telling diverse stories with a diverse point of view. We want these adventures to resonate in the real world, reflecting the experiences of our diverse readership. Can we improve on that? We always can—and aim to. We’ll have exciting news about new projects with women creators in the coming months and will be making those announcements closer to publication. Many of the above creators will be working on new projects, as we continue to tell the ongoing adventures of our characters. We know there are dozens of other women creators and we welcome the opportunity to work with them. This is really great to see. I’m glad that DC has noticed the reactions to the lack of women, both characters and creators, in the relaunch, and that they are planning to do something about it. The people who asked questions at ComicCon, especially the now-famed Batgirl, and the big sites out there who made these issues heard all deserve applause, and it’s awesome that their efforts have brought about results!! I am excited to see what DC has coming up, and I am very much looking forward to their female creator stats improving in the months to come!! This entry was posted on July 30, 2011 at 12:32 am and is filed under Comics, Women In Comics Statistics. You can follow any responses to this entry through the RSS 2.0 feed. You can leave a response, or trackback from your own site.